Magnetic Resonance spectroscopy determines the structures of molecules ranging from small chemicals to macromolecular proteins and nucleic acids. It is particularly useful for the analysis of proteins that cannot be crystallised and for investigating interactions between proteins, biological membranes and ligands, including potential new drugs. The Bio21 Institute's substantial Magnetic Resonance facility is one of Australia's leading Magnetic Resonance centres. At the Bio21 Institute, Magnetic Resonance is primarily used for investigating structures of potential drug and pesticide targets, protein pharmaceuticals and include metabolite biomarkers of disease as well as interactions of proteins with their specific ligands (including candidates drugs) and, where relevant, their target membranes. Magnetic Resonance capability is also important to a range of analytical and synthetic chemistry applications. Agilent MR400 and autosampler suited to small molecules where sensitivity is not a dominant issue. Agilent DD2 system equipped with an autosampler and a broadband probe suited to 13C, 31P, 19F and 77Se. Suited to small molecules where sensitivity is not a dominant issue. Bruker Avance system equipped with TXI cryoprobe for greater proton sensitivity and suitable for peptides and small proteins. A Bruker Avance III system with TCI cryoprobe and BACS-60 autosampler. Suited to moderate size proteins and molecules where sensitivity begins to be an issue. A Varian INOVA 600 equipped with a broadband probe suited to small molecules where senstivity is not an issue. Varian VNMRS narrow-bore 4-channel HFXY system with kWatt 1H and 13C RF amplifiers and a suite of MAS and static probes for bio-solid studies including phospholipid membranes. Bruker Avance IIIHD with TCI cryoprobe and SampleJet autosampler for high-throughput applications such as metabolomics. Bruker Avance II with TCI cryoprobe and BACS-60 autosampler. Suited to large proteins where high sensitivity and resolution are required and for metabolomic studies requiring high throughput. 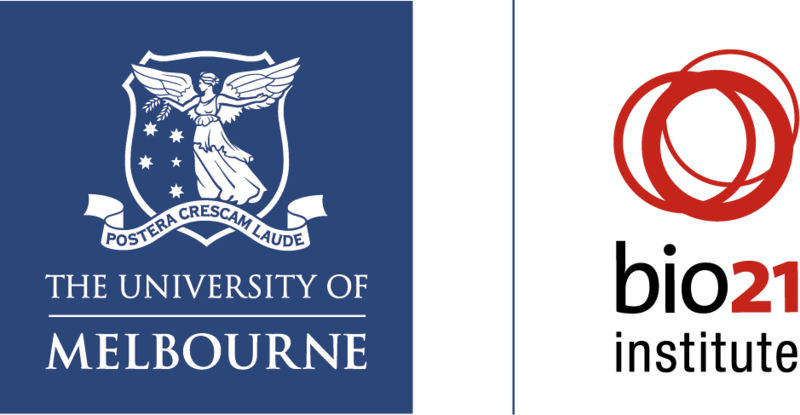 Please contact shyao [at] unimelb.edu.au (Dr Shenggen Yao) for more information. All new staff members and students who wish to access the Magnetic Resonance Facility must complete an induction. Please download and study the induction document before attending the induction presentation at a date to be advised.